This week I'm down with the flue, so having a bit of a rest. 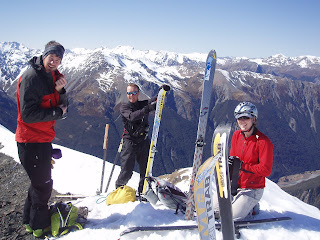 Here is a photo of some of the SkiMoNZ crew on the summit of Avalanche Peak. Looking forward to Winter..... Thats Grant Guise, Jane Harper and Gary Mc Pherson.